Deborah Myers-Cregar, Administrative Law Judge (ALJ), Office of Administrative Hearings (OAH), heard this matter on September 10, 11, 12, and 25, 2012, in Manhattan Beach, California. Student’s parents (Parents) represented Student and attended each day of hearing. Christopher Fernandez, Attorney at Law, represented Manhattan Beach Unified School District (District) on September 10, 11, and 25, 2012. Shiohban Cullen, Attorney at Law, represented District on September 12, 2012. Ellyn Schneider, Director of Student Services, appeared on behalf of District and attended each day of hearing. District filed its due process hearing request (complaint) on July 5, 2012. On July 23, 2012, OAH granted the parties’ joint request to continue the due process hearing for good cause shown. On September 25, 2012, at the close of the hearing, the parties were granted permission to file written closing arguments by October 19, 2012. Upon receipt of the written closing arguments, the matter was submitted and the record closed. 1 Although the complaint generally sought a determination that a FAPE had been offered in the IEP, the parties stipulated at hearing that a FAPE had been offered with the exception of behavior services and ESY. Thus, the issues were narrowed at hearing. b) when it did not offer extended school year services (ESY) for the summer of 2012? 1. Student was 12 years old at the time of the hearing. At all relevant times, Student lived within the jurisdictional boundaries of the District and was eligible for special education services under the category of autistic-like behaviors. 2. On November 9, 2010, the parties entered into a settlement agreement which expired on December 31, 2011. The parties agreed that Student would attend general education curriculum classes with resource services at Meadows Elementary School for fifth grade, and general education curriculum classes with resource services at Manhattan Beach Middle School (MBMS) for sixth grade for the 20112012 school year. Pursuant to that agreement, District would provide Student with behavior intervention in the form of a TSA for the entire school day, behavior supervision by a non-public agency (NPA) BCBA, and a home behavior program. Parents believed that following the expiration of the settlement agreement, the NPA BCBA services and home behavior program should have been part of Student’s IEP. Student’s current educational placement at MBMS in general education with resource services, and a full time District TSA for behavior intervention goals, is not in dispute. 3. District notified Parents of Student’s annual and triennial IEP team meeting set for November 2, 2011. District informed Parents that they could invite other individuals who have special knowledge or special expertise about the child. Parents requested copies of all assessment reports as soon as the reports became available. District mailed Parents the assessment reports, teacher reports, and drafted goals to be discussed before the IEP team meeting. 4. On November 2, 2011, Student’s IEP team convened to discuss her educational program after the expiration of the settlement agreement. The IEP team members in attendance were special education teacher Marni Notarnicola, administrator Barbara Mendez, behavioral specialist Wendy Cheng, occupational therapist Wendy Zobel, speech pathologist Lauren Webb, school psychologist Emily Allen, general education teacher Debbie Wilson. Additionally, both parents attended along with their preferred BICM providers, NPA Director Janet Yi and NPA supervisor Hillary Taylor. 5. At that IEP meeting, the team developed Student’s present levels of performance. The IEP team reviewed the assessment reports, teacher reports, and drafted goals to address her unique needs, including nine behavioral goals, discussed below. At the end of fifth grade, Student took the Spring 2011 California Standards Test (CST) with accommodations, the California Modified Assessment (CMA). She achieved scores in the ‘Proficient’ range in Science, and ‘Basic’ range in English/Language Arts (326), and Math (357). Comparatively, in Spring 2009 at the end of third grade, she achieved scores in the ‘Far Below Basic’ range in English-Language Arts (245), and ‘Basic’ range in Math (319). 6. Ms. Allen, the school psychologist, noted Student’s cognitive assessment scores fell within the average to high average range. She noted Student’s improved scores in the areas of processing speed and auditory working memory. Student’s autism rating scales showed more deficits reported at home than at school, due to the support of her TSA. Student’s social emotional assessment scores fell within the average range. Student’s Theory of Mind assessment showed increased scores to the borderline range, but still impacted her social functioning, and she continued to qualify for services under autistic-like behaviors. On the Wechsler-Individual Achievement Test, Third Edition, (WIAT-III), Student achieved scores in the average (85-115) and above average (116-130) range in all testing areas, with a 95 percent confidence interval. On the Written Expression Composite, Student’s score of 127 placed her in the top 96 percent, three points below the superior range. Her Total Reading Composite score was 112, her Basic Reading Composite score was 116, her Reading Comprehension and Fluency Composite was 106, and her Math Composite was 103. 7. With the accommodations of her TSA to help her focus, and additional time on assignments and tests, Student had straight A’s in her general education academic classes. The IEP team described her as intelligent, hardworking and motivated. She was continuing to progress socially. She was independently initiating conversation with adults and peers. Student was showing the ability to better control her frustration and emotional outbursts in the academic setting. 8. Student’s special education teacher, Ms. Notarnicola, recommended Student continue to be in the collaborative general education humanities class which she and Ms. Wilson co-taught. Ms. Wilson, the general education teacher, reported Student had difficulty focusing at times. Student was a perfectionist and needed to accept making mistakes. Ms. Wilson wanted Student to visit her during her nutrition break or lunch if she needed help. She also wanted Student to achieve more independence from her aide. The IEP team recommended she be placed in an academic support class for assistance with organization and study skills. 9. The occupational therapist reported Student scored in the average range in all areas, and recommended discontinuation of services. The speech therapist reported Student’s expressive and receptive language was within the average range. 10. Parents discussed Student’s social issues in middle school, including friends who were no longer associating with her. Parents were concerned with her rate of progress with her homework and schoolwork. 11. Ms. Taylor, the NPA BICM, discussed Student’s progress in the area of behavior. Student showed an increased ability to multi-task. Student appeared to be similar to her peers at first glance, showing the ability to blend in socially. She had difficulty focusing in class, requiring direct prompts and assistance from her TSA. Her aide broke down complex skills into smaller, more manageable parts in the classroom. Student benefited from role playing as a means of understanding social situations. She increased her ability to use appropriate language to communicate her feelings, to tolerate frustrating situations, to work in a group collaboratively, and to independently attempt most school assignments. She made good gains in engaging with peers appropriately, learning more subtle social cues, and forming some good friendships with positive and appropriate peers. Student continued to struggle in the areas of socialization, maintaining eye contact, and interpreting subtle social cues, and some peers bullied and ostracized her. Student was learning how to identify social isolation, teasing, and rejection from peers and how to appropriately respond to it. 12. The IEP team discussed how Student met her prior annual goals in reading, speech, and behavior. She partially met her writing goal and speech pragmatics goals. The IEP team reviewed and discussed proposed goals. The parties agreed on Student’s goals, accommodations and modifications. 13. The IEP team developed and wrote five academic goals in the areas of writing-editing, reading comprehension, written expression, organization, and participation. Student needed prompting to edit her work. She needed assistance when answering literal and inferential questions. Student needed help writing a five paragraph essay. She needed help organizing her school papers. Student needed encouragement to raise her hand in class. 14. The IEP team developed and wrote three speech and language goals in the areas of pragmatics, verbal recall/reasoning, and expressive/receptive vocabulary/abstract language. Student needed help identifying facial expressions, body languages, and other clues to infer conversational intent. She needed help to expand her receptive vocabulary and correctly respond to higher level ideas and multi-step directions. Student needed assistance in understanding and using figurative language, multiple meaning words, metaphors and similes appropriate for her grade reading level. 15. The IEP team developed and wrote nine behavioral goals in the areas of behavior and social skills. Ms. Taylor primarily drafted the goals, and Ms. Cheng agreed with them. In Behavior Goal 1, Student would stop what she was doing, listen, and correctly respond to group instruction given by her teacher in four out of five opportunities in a two week period, as measured by data collection. In Behavior Goal 2, Student would learn to reference her peers without explicit directions to do so, and would imitate the group behavior during class assignments and activities, in four out of five opportunities in a two week period, as measured by data collection. In Behavior Goal 3, Student would independently use appropriate self-organize tools, in four out of five opportunities in a two week period, as measured by data collection. In Behavior Goal 4, Student would learn to write down her off-task comments and questions during class and instead ask them during appropriate breaks, instead of asking her TSA during classroom instruction time, in four out of five opportunities in a two week period, as measured by data collection. In Behavior Goal 5, Student would tolerate self-imperfection and make realistic comments in response to feedback on assignments and in response to her feelings of disappointment, in four out of five opportunities in a two week period, as measured by data collection. In Behavior Goal 6, Student would learn to discriminate when to apologize and say “I’m sorry” only in situations where she made an error, in four out of five opportunities, as measured by data collection. In Behavior Goal 7, Student would refrain from smiling when confronted with an upset peer, in four out of five opportunities across people and setting in a two week period, as measured by data collection. In Behavior Goal 8, Student would learn to identify her peers’ social cues and respond appropriately, in four out of five opportunities, across people and setting in a two week period, as measured by data collection. In Behavior Goal 9, Student would maintain eye contact with another person for five seconds before looking away, in four out of five opportunities across people and settings, in a two week period, as measured by data collection. 17. 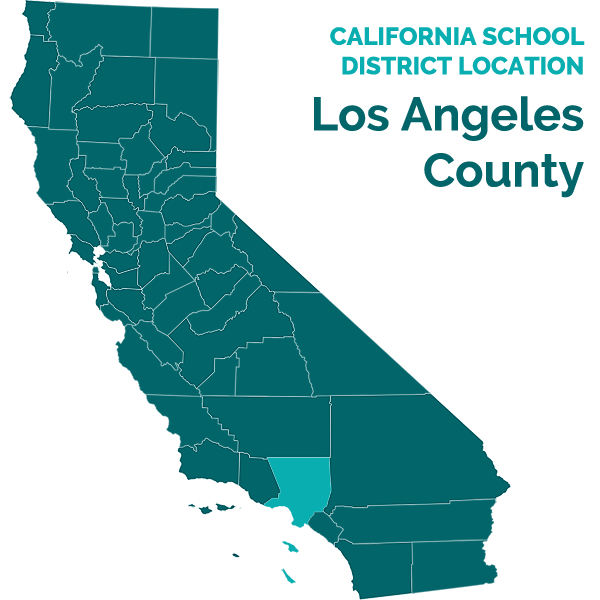 District offered Student placement in a general education setting at Manhattan Beach Middle School, with designated instruction and related services, modifications and accommodations. Student would be in general education 95 percent of the time. District offered, for specified periods of time, Specialized Academic Instruction (general group instruction) in English, Specialized Academic Instruction (RSP support) in English; a TSA with 240 hours monthly behavior intervention supervision; and speech and language therapy. Consistent with the occupational therapist’s recommendation, OT services were discontinued. The parties agreed to discuss extended school year (ESY) services at a subsequent IEP in spring 2012. 18. At hearing, the parties stipulated that the November 2, 2011 IEP goals, modifications and accommodations were appropriate. At hearing, Parents also stipulated that the District’s offer of specialized instruction and services was appropriate, with the exception of behavior intervention services. While District offered its own BCBA to supervise Student’s behavior intervention program four hours per month, Parents wanted the continuation of its preferred NPA BICM; and while District offered a full time TSA, Parents also wanted to continue a ‘homebehavior program’ for an additional six hours per week, with additional NPA BICM supervision hours for the home program. 19. District notified Parents an IEP team meeting would be convened on June 7, 2012 to review ESY. District informed the parents that they could invite other individuals who have special knowledge or special expertise about the child. 20. On June 7, 2012, the IEP team convened to discuss ESY services. The IEP team members in attendance were program specialist Barbara Mendez, speech language therapist Lauren Webb, general education teacher Candi Ochoa, special education teacher Marni Notarnicola, both parents, NPA BICM Hillary Taylor and NPA executive director Janet Yi. 21. Parents reported that Student had difficulty socially. She appeared to be higher functioning than she was, and did not read social cues well. While Student got along well with her science lab partner, that partner chose another student to be paired with for the summer science camp. Another girl agreed to be her partner, so she was teamed up with two other girls. Parents also reported that Student had ADD, and she needed a person to sit with her for hours while she completed her homework. When Student was upset with social difficulties, she was unable to complete her homework. She was learning how to text other students, and was improving her ability to community with friends. 22. The general education teacher, Ms. Ochoa, reported Student completed all her assignments and worked well with other students in class. Student received accommodations such as prompts in class, scaffolding lessons, and receiving more time on tests and assignments. 23. Ms. Taylor, the NPA BICM, reported that Student managed to be social at school, but not at home because of the limited social opportunities. Student continued to make progress. She was learning to understand cues in the classroom and understand what was going on in the class if she missed the instruction. Student used a behavior reinforcement system to help her pay attention and focus. She was trying to be more independent. Her social interactions had improved since she went to a classroom during lunch and nutrition, as she was more comfortable there than the unstructured setting on the playground. She participated in a lunch club. 24. Ms. Notarnicola, the special education teacher reported that Student accessed the curriculum and was a hard worker. Her skills in understanding inferences while reading were becoming stronger. Student completed her homework with the assistance of her TSA. Her TSA also helped Student with understanding social cues and social stories throughout the day. 25. For the Fall quarter 2011, Student earned a 3.86 grade point average (gpa). For the Winter quarter 2011-12, she earned a 3.90 gpa. Although District did not have access to her final Spring 2012 grades at the IEP team meeting, her progress report for that period showed Student earned a 3.91, and her lowest grade was an Ain pre-algebra. By the end of the 2011-2012 school year, Student was ranked among the top 97 students in a class size of 457. 26. District did not offer ESY services. Parents disagreed, and questioned whether Student would regress without it. Ms. Notarnicola did not think Student would have significant regression over the summer without ESY. 27. Ms. Cheng testified in support of the appropriateness of District’s behavior intervention offer in the November 2, 2011 IEP. Ms. Cheng earned a Bachelor of Arts degree in Psychology, a Master’s degree in Applied Behavioral Analysis, and was a BCBA. For five years, she was the clinical director of Autism Behavioral Consultants (ABC), an NPA, before working for the District in January 2011. Additionally, she worked as a behavior consultant for Autism Partnership, an NPA, for 13 years. As a District BICM with a BCBA, her responsibilities included supervising staff, providing ABA training to staff and parents, monitoring student progress, collaborating with special and general education teachers and other service providers, and supervising school and home programs and after school social skills programs. Ms. Cheng also conducted assessments, made behavioral observations, took data on antecedents, consequences, courses of action and replacement strategies, and conducted functional behavior assessments (FBA’s). Ms. Cheng participated in developing IEPs. She worked with the teams to look at current behaviors, to review past behavior, reports and progress, to generate new goals, and to determine what services students needed to achieve their goals. 28. In October 2011, in preparation for the IEP meeting, Ms. Cheng formally observed Student in choir, science, lunch, and a speech therapy session. Ms. Cheng reported those observations to the IEP team. Student’s organization was a concern, as she kept a lot of paper and materials on her desk which became crumpled. Student needed the help of her TSA to access her materials and put them away as needed in class. At times, Student appeared anxious keeping up with a lecture while taking notes, she would approach her TSA, and return to her work. Student’s TSA transitioned her for lunch, and she was able to be independent. Student would approach peers, and periodically consult with her TSA, and return to the group. During the speech session, Ms. Cheng sat outside and heard questions and answers related to social skills and pragmatics. Ms. Cheng reviewed Ms. Allen’s psychoeducational assessment report. 29. Additionally, Ms. Cheng consulted with NPA BICM Hillary Taylor during the development of the behavior goals. She considered the data compiled by Ms. Taylor, and reviewed Student’s weekly rate of progress. Ms. Cheng reviewed Ms. Taylor’s goals and agreed with them. Student’s current level of BICM supervision for school was between two to four hours per month, with a total average of nine hours per month of supervision for both the home and school program combined. Ms. Cheng looked at the goals and the data and determined she could provide BCBA supervision at school for four hours per month. She based that decision on the current level of supervision Student was receiving in school by the NPA. 30. Ms. Cheng believed all nine behavior goals could be appropriately implemented during the school day at MBMS. Along with the District members of the team, she believed the full-time support of Student’s TSA and four hours of supervision was appropriate. Student’s key areas of concern were staying on task, keeping up with group instruction, organization, and social skills pragmatics. 31. Ms. Cheng believed she could have appropriately provided the four hours monthly BICM supervision. Even though she worked 40 hours a week and had an active caseload, she was not at full capacity. She used some of her hours for training, and she could have prioritized and shared her assignments and responsibilities. She worked together with the other three District behaviorists. If Student had required additional hours of supervision, she would have provided what was clinically needed. If there was a specific or ongoing need for additional hours, she would have informed Ms. Schneider and even called an IEP meeting. 32. Ms. Cheng did not recommend behavior services in the home. She based her opinion on the review of the data taken at home, talking with Ms. Taylor, and with Student’s TSA aide. Student’s difficulties were in peer interactions in school and small groups. In Student’s prior home program, the majority of interactions were initiated by adults, and she had limited peer access. Student’s difficulty was in generalizing and implementing social strategies. The skills that Student needed were direct interaction with peers, which was best implemented at school, not the home setting. None of the nine goals needed to be worked on at home. Student needed to practice her skills at school and to display those skills in the school environment. 33. Student’s speech therapist, Lauren Webb, testified in support of the District’s June 2012 IEP team determination not to offer ESY. She held a Bachelor’s of Science degree in Speech Pathology, a Master’s degree in Special Education, a Master’s degree in Speech Language Pathology, and Special Education Teaching Credential, a Clinical Rehabilitative Services Credential, a license to practice speech pathology, and a Clinical Certificate of Competence from the American Speech and Hearing Association (ASHA) and the California Speech, Language and Hearing Association (CSHA). She was a speech language pathologist employed by Los Angeles County Office of Education (LACOE), and was assigned to MBMS since September 2007. 34. Ms. Webb was Student’s speech therapist for one year, beginning September 2011. She adopted the goals that the prior speech pathologist used. They worked on pragmatics and social skills in two groups. In the first group, Student was among other students with the same goals. In the second group, Student was paired with a student with common interests, where she could practice her skills without as many prompts. They worked on body language problem solving, reacting, role playing, facial expressions, pictures, and behavior intervention strategies. 35. Ms. Webb did not recommend Student for speech therapy during the 2012 ESY. She opined Student was at a level where she could work on social skills over the summer without school. Student would not regress because she would be able to return to school and socially participate. Student would not require an aide in a small group setting, or summer camp, because Student had always been successful in small group settings without an aide. She thought there were more natural community settings for Student to practice the skills learned in speech therapy, such as at play dates, special interest camps in small groups, or drama camp, where her social deficits might not be apparent. 36. Special education teacher, Ms. Notarnicola testified in support of the appropriateness of District’s behavior intervention offer and the District team decision not to offer ESY services. Ms. Notarnicola held a Bachelor of Science degree in Special Education, a Master’s degree in Reading, a Special Education Credential, a Reading Specialist Credential in California, and a General Education Credential in New York. She worked as a general education teacher in New York for 13 years, and as a resource specialist for District for six years. 37. During the 2011-1012 school year, Ms. Notarnicola and Ms. Wilson co-taught Student’s three period general education Humanities class, which included English Language Arts and the Ancient World. Student attended Ms. Notarnicola’s homework club up to four times weekly. Ms. Notarnicola’s classroom became Student’s safe haven during nutrition and lunch after she was socially isolated from a group of girls she thought were her friends. Ms. Notarnicola observed that many students with IEPs come to her classroom to get away from the large and noisy comprehensive high school social environment. 38. Student performed in the average to high average level academically. Student was social, friendly and talkative in all settings. She was very comfortable socially in the classroom, during lunch and nutrition, and the homework club. Student’s TSA stayed in the background, available for redirection and social skills facilitation. Student often used her TSA to consult with during conversations with peers. Ms. Notarnicola was on leave for three months during the school year, and observed Student’s overall social and academic improvement upon her return. Ms. Notarnicola observed Student had become more independent. 39. Ms. Notarnicola did not believe Student needed a home behavior program. She did not believe Student needed ESY to avoid regression for either academics or social skills. 40. General education teacher Deborah Wilson testified in support of the appropriateness of District’s behavior intervention offer in the November 2, 2011 IEP and the District’s team decision not to offer ESY services in the June 7, 2012 IEP. She held a Master’s degree in School Administration, an Administrative Services Credential, a Multiple Subject Credential K-12, an RSP Certificate, and a Certificate to teach English Language Learners. Ms. Wilson was the general education teacher in Student’s three period Humanities class. She and the RSP teacher, Ms. Notarnicola, worked together for two of the three periods. It was a collaboration “push-in class,” for students that needed extra instruction. The two teachers were supported by an assistant and two TSAs, to help ensure the students remained on task and paid attention. 41. Academically, Student was one of her strongest pupils, and among the top five in her class. The only accommodation Student needed was more time on tests and assignments. Student had consistent off task behavior, as did the whole class. Student would gaze off once to twice during the three hour block class, and Ms. Wilson would have to touch her book, tap her finger on her desk to get her attention, or ask “are you with me?” Those cues were enough to return Student’s attention to the lesson. Student’s questions were on topic approximately 75 percent of the time. Student’s TSA remained on the periphery, and Student had many exchanges with her. At the beginning of the school year, Student’s TSA was instrumental in helping her understand the system in the Humanities class. Student became much better at organizing her class materials and became more independent. 42. Ms. Wilson observed Student having independent peer interactions. She would speak to those around her, and was comfortable talking to a group of girls. At the beginning of the school year, Student did not engage in a lot of interactions. However, by the second and third trimester, Student would say hello to her and they would have reciprocal communication with multiple exchanges. Ms. Wilson observed her TSA assist with peer interactions by organizing Student’s instructional pods, or groups and rotating the groups. Ms. Wilson occasionally saw Student have melt-downs, and Student would use a hand gesture, talk with her TSA, and pull it back together. Student was a very positive role model and student. She had her homework completed, had her book open, took notes, raised her hand to answer questions, and always treated others with respect. Ms. Wilson was in constant direct contact with Parents, and knew their support was strong and led to Student’s academic success. 43. Ms. Wilson opined that Student did not require ESY for the summer 2012 because she was at grade level. Student was one of her top students, earning all As with the support of the teacher and TSA, and was very capable and successful in the academic setting. Ms. Wilson opined that Student did not need a structured program over the summer to address her social and peer skills. In her opinion, it is a benefit for students not to have structured activities, but to enjoy a camp instead. She opined Student was in a good place, and was definitely able to pick back up where she left off, especially with her TSA support. 44. District school psychologist Emily Allen testified in support of the appropriateness of District’s behavior intervention offer and its decision to not offer ESY services. She earned a Bachelor of Arts degree in Psychology, a Master’s degree in School Psychology, and held a Pupil Personnel Services certificate. She was a Nationally Certified School Psychologist, and a California Licensed Educational Psychologist. She worked for the District for six years. 45. Ms. Allen assessed Student in the Fall of 2011, including four 44 minute testing sessions, two half-hour observations, interviews, and reviewed Student’s records. Student completed the testing without the use of her TSA. She had a great attitude and was very friendly and positive. There were no behaviors which impeded her testing. Ms. Allen prepared a report of the test results. She included the results of the WIAT-III administered by Student’s teachers. 46. Ms. Allen analyzed the results of the Woodcock-Johnson Tests of Cognitive Abilities, Third Edition (WJ-III). Student’s overall cognitive performance was within the average range. Her processing fell in the average to above average range, meaning her ability to learn and function in an academic setting was in the same range as her typical peers, as normed by the test. Student had three scores in the high average range, Auditory Processing at 88 percent, Working Memory at 90 percent, and Broad Attention at 82 percent. She was able to take in information presented orally, hold it in her memory long enough to manipulate it to her long term memory, and sustain a high degree of attention with selective focus on different aspects of a task and divide her attention between multiple parts. Student’s cognitive efficiency and processing speed had greatly improved since her last school based assessments. 47. Ms. Allen reported Student was very functional, based upon the socialemotional interviews from Student, her Parents, and her teachers in a school setting. In the Broad Measures of Social Skills, she fell within the average range. Student reported being happy with the quality and number of friendships she had. Student described peer pressure and conflicts with friends. Ms. Allen reported Student’s weakness was how to deal with peer pressure. Ms. Allen opined these were all age appropriate challenges for middle school. Ms. Allen opined that the Parents’ adaptive skills rating scale was discrepant on the Social Skills Improvement System (SSIS), the Connors Rating Scale, Third Edition, the Adaptive Behavior Assessment System, Second Edition (ABAS-II) and the Gilliam Autism Rating Scale, Second Edition (GARS-2). The behavior Parents reported placed Student in the very low range, significantly lower than they reported before, and inconsistent with what the teachers had reported. Thus, Ms. Allen evaluated their scores with caution. 48. On the Developmental Neuropsychological Assessment, Second Edition, (NEPSY-II), Student scored in the borderline range at six to 10 percent on Theory of Mind. Ms. Allen compared Student’s scores with those obtained by Mary Large in 2010, in which Student scored in the extremely low range, at less than the second percentile. The Theory of Mind subtest tested the ability to understand that others may perceive things in a different way. Student’s score was not unusual for students with Autism, and such scores are not expected to markedly improve. Student had developed compensatory social and communication skills to the point where she was almost indistinguishable from her peers. Student had adequate skills to continue progressing. 49. Overall, Student had some good skills, and some specific weaknesses, such as a low level of engagement with peers. However, she interacted well once the interactions were initiated. Student fell within the skill level of peers her age. Her social emotional weaknesses did not impact her learning any more than typical students her age. 50. Ms. Allen spoke highly of Ms. Cheng’s professionalism and knowledge base on behavioral intervention issues. She has worked and consulted with her at several IEPs. Ms. Cheng has always been easily available, responsive, and easy to work with. 51. Ms. Allen opined that Student did not require ESY for academics to avoid regression. Although Ms. Allen did not attend the June IEP, she based her opinion on Student’s cognitive function and her information processing skills being in the average to high average range. Additionally, Student’s academic skills were within the average range, her progress in her classes was appropriate, and her progress toward her goals was appropriate. Ms. Allen opined that Student did not require ESY for social skills, based upon the assessment of social skills functions provided by parents and teachers, her observations, her records review, and the progress on her goals. 52. Janet Yi testified in support of Student’s NPA behavior intervention program through JBA. She was the Executive Director of JBA, the NPA which provided Student’s BCBA supervision. Ms. Yi earned a Bachelor of Arts degree in Psychology at UCLA. She worked with Dr. Lovaas and contributed to his Lovaas manual. She held a Master’s degree in Applied Behavioral Analysis, and was a BCBA. 53. Ms. Yi assessed Student in 2008, and had recommended 10 to 15 hours per week of home programming per week, but could not recall how much supervision she recommended in her report. Ms. Yi believed the District’s TSA for Student was very knowledgeable. Ms. Yi communicated with the TSA by telephone or e-mail. Ms. Yi was not Student’s direct supervisor. Instead, Ms. Yi supervised Hilary Taylor, who was JBA’s supervisor for Student. Ms. Taylor, communicated with the District personnel more often than with Ms. Yi. Ms. Yi understood that in the JBA home program, JBA was helping Student with homework. Although Ms. Yi believed Student’s academics were part of her behavior needs, and that JBA addressed Student’s behavior and speech issues during homework time, Ms. Yi acknowledged that the only goals JBA was required to work on under the IEP were for social and behavioral benchmarks, not academics. 54. Ms. Yi opined that socially, Student’s year was difficult because of some isolating and teasing incidents. Ms. Taylor attended a lot of Parent meetings. She opined that middle school was hard on students, and that not being part of a group was difficult. Other students picked on Student because of her quirks, and Student questioned herself. This teasing made her feel socially isolated. It impacted her self-esteem, and she doubted her abilities. Student asked her TSA a lot of questions. Ms. Yi admitted that JBA required additional consultation hours because they were supervising Student’s TSA, who was not JBA staff. 55. Ms. Taylor testified in support of her BICM supervision of Student. Ms. Taylor held a Bachelor of Arts degree in Psychology, and a Master’s degree in Clinical Psychology with an emphasis in Marriage and Family Therapy. She was a licensed Marriage and Family Therapist. Ms. Taylor worked as the clinical director and program supervisor at JBA. 56. For the last three years, Ms. Taylor supervised Student’s behavior intervention program at school and at home. She looked at goals and created new goals. She monitored Student’s behavior and analyzed data. Ms. Taylor monitored Students behavior based on the goals. She directly supervised the TSA and consulted with her to manage behaviors, social difficulties, and various settings in the classroom. She observed Student’s behaviors at school and provided supervision to District’s TSA. She consulted with Student’s teachers as needed. She attended IEP meetings. She attended team meetings with the home staff and the District’s TSA monthly. Ms. Taylor supervised Student at school in the classroom and social settings, during instruction, nutrition and lunch. She visited the school at least once per week to work with the TSA or to support Student’s musical theatre. 57. Parents used six hours per week from the home program so Student could have direct support in musical theatre. Ms. Taylor provided some direct support in the voluntary after-school drama class, which met three times per week. Student was able to be independent for most of the class, but needed support when she was rehearsing, joining groups, and marking the musical score. Ms. Taylor thought the after school drama teacher was too busy to answer questions or provide prompts. In that after school setting, Student was working on group imitation, and attending to other students. Ms. Taylor provided direct instruction and various strategies, such as asking her to look around her and do what her peers are doing. Ms. Taylor took data in musical theatre based on Student’s social and behavioral goals. If Student had difficulty with those skills, they would go home and work on them in a one to one setting. She and the TSA worked on how to improve Student’s motivation. They developed a point system for Student to attend to peers and not be so reliant on her TSA. 58. Behavioral goals 1, 2, and 8 were predominantly addressed in the classroom in the school setting, and the after-school program as a group setting. Behavioral goals 3, 5, 6, 7, and 9 were predominantly addressed in the school setting and at home. Behavioral goal 4 was minimal. 59. Ms. Taylor’s data summary showed that Student needed a high level of prompting from her TSA in most of her subjects. Her classroom challenges included missing teacher instructions, needing prompts to catch up, losing focus and difficulty attending, and gazing off in another direction. Student had difficulty taking in too much information at a time. She had difficulty when information was only presented auditorily. Student had difficulty with self-organization. Student’s TSA reported to Ms. Taylor that Student needed considerable scaffolding and support, so test directions were explained to her. Student performed better with multiple choice answers than with longer answers, and she needed prompts to process her answers. Ms. Taylor opined that Student would not have achieved such good grades without the support of her TSA. 60. Ms. Taylor opined that Student’s transition to middle school was difficult socially. In elementary school, Student’s classes were smaller, and she made friends. In middle school, some other students were very savvy, and Student was very sweet and naive with a kind heart. She attempted to integrate with her typical peers, but did not notice their non-verbal cues. When one of Student’s good friends from elementary school began to distance herself, Student was upset and worried. She didn’t understand why her friend would not want to walk with her or go to science camp together. Student had a handful of friends from elementary school, and those friendships dissipated. Her TSA encouraged Student to join new groups. Student would also perform gymnastics and act silly. She couldn’t understand why she was the only one performing cartwheels. Often, her TSA removed her from the classroom to help Student process her feelings. She helped her understand why students are sometimes nicer one day than the next, so they would not take advantage of her. Student’s counselor and assistant principal discussed options with Ms. Taylor, such as removing her from the large group setting to a smaller, more restrictive setting with students similar to her in Ms. Notarnicola’s class. Student discovered she was more comfortable in that smaller setting. Those peers all knew her TSA and thought she was another teacher hanging out with them during lunch and nutrition. It was important to have support in place for Student. 61. Ms. Taylor opined Student needed support at home and at school during the 2011-2012 school year because she seemed to be struggling more socially and behaviorally. She opined Student required a home program of six hours per week to reinforce and maintain skills. 62. As to ESY 2012, Ms. Taylor provided her opinion about ESY services to Ms. Cheng prior to the June 2012 IEP. Ms. Taylor opined Student did well in a one-to-one setting, but still needed support in the school environment. Ms. Taylor opined that Student needed social opportunities and social support during the summer ESY. She understood ESY was intended to maintain skills and prevent regression. 63. Student’s Neuropsychologist, Mary Large, Ph.D., wrote a report dated August 3, 2012. Dr. Large’s report had never been presented at an IEP team meeting and she did not testify at hearing. Therefore, because she did not testify, and her report was generally not otherwise corroborated, the conclusions in her report were given little weight. 64. In her report, Dr. Large recommended that Student remain placed in general education with a full time aide with specific training and experience. She also recommended that Student’s home and school behavior intervention program continue to remain supervised by JBA “as there did not appear to be a valid clinical reason to alter the structure of her program at this point.” Dr. Large recommended that Student’s current aide continue to work with her for the coming year to minimize the potential for regression. She recommended a range of accommodations. Dr. Large recommended ongoing behavioral and therapeutic intervention outside of the school setting. Dr. Large suggested the Parents explore educational therapy for Student if she struggled. 65. Student’s mother testified in support of her concerns that the District did not sufficiently discuss and consider the continuation of the behavior intervention services and ESY services at the levels negotiated in the prior settlement agreement. Mother opined that Student needed social opportunities after school and over the summer to maintain her skills and not regress. The ESY program she and Ms. Taylor envisioned was not academic, but instead, should have been something like the community based ‘Camp VIP’ Student had attended in the past with an aide. Parents believed that Student needed an aide for social support if she was going to attend a summer camp, specifically support with making friends, joining groups and understanding non-verbal cues from peers. 1. District contends that it offered Student a FAPE in the IEP dated November 2, 2011, which was discussed again on June 7, 2012. The parties have stipulated to the appropriateness of the placement, services, goals, and accommodations and modifications in the IEP except for two areas: 1) the District’s offer of a behavior aide in school only, with District supervision (Issue 1(a)); and 2) ESY was not offered for summer of 2012 (Issue 1(b)). Specifically, District contends the offered behavior services of a TSA for the entire school day, and behavior supervision four hours monthly by District’s BCBA and BICM were a FAPE; and that Student did not require ESY services to receive a FAPE because Student would not lose skills over the summer break. 2. Parents disagree and contend that Student required a six hour per week home program with all supervision by an NPA. As to ESY 2012, Parents contend Student required a specially designed ESY for social skills support and to avoid regression. Parents also contend that both IEP team meetings were procedurally flawed because District did not meaningfully considering the NPA BICM opinions and had predetermined the IEP. 23. Further, District proved by a preponderance of the evidence that the frequency, duration, and choice of provider of behavior intervention services were appropriate and offered Student a FAPE, as will be discussed below. 27. In sum, District met its burden of demonstrating by a preponderance of the evidence that the November 2, 2011 IEP was procedurally proper and offered Student a FAPE. 1. District offered Student a FAPE in the IEPs dated November 2, 2011 and June 7, 2012. 2. District may implement the November 2, 2011 and June 7, 2012 IEPs without Parents’ consent. Pursuant to California Education Code section 56507, subdivision (d), the hearing decision must indicate the extent to which each party has prevailed on each issue heard and decided. District prevailed on both issues presented.